Vip Spec home. 4 bdr. 2.5 Ba. 3 car gar. on .8 acre lot. great room has 14 ft. ceiling and is open to the kitchen. Granite counter tops at kitchen. 42” full overlay maple cabinets with self close hardware. double oven range. Upgraded tile everywhere but bedrooms.upgraded Master bath tops. Enlarged shower with 3/8” glass enclosure. coffered ceiling at great room. Patio extension. 2 tone interior paint. 8 ft interior doors and 4 1/4 ” base. French door at Great room to Patio. Garage service door. 12′ composite gate. You can park your RV on your lot. 2×6 construction. Energy Star level 3. Directions: From Glendale Ave. S. on 137 Ave. W. on W. Ocotillo Rd. Please, send me more information on this property: MLS# 5904525 – $572,013 – 13533 W Ocotillo Road, Glendale, AZ 85307. 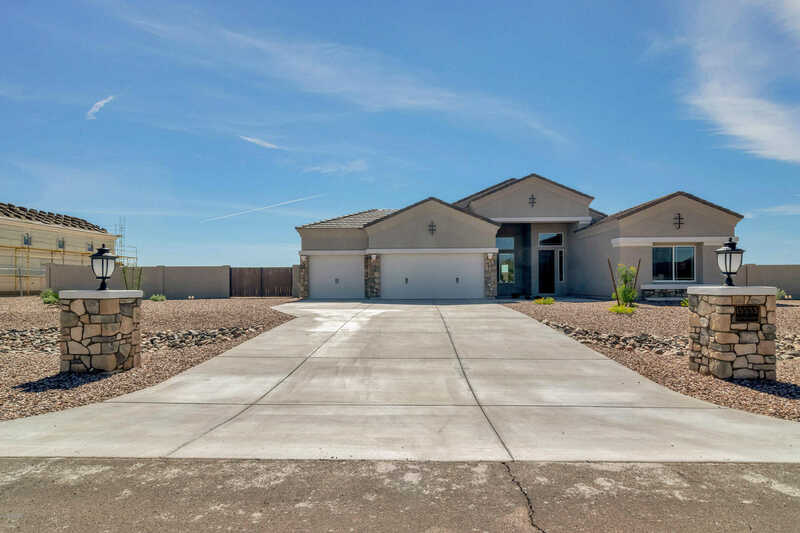 I would like to schedule a showing appointment for this property: MLS# 5904525 – $572,013 – 13533 W Ocotillo Road, Glendale, AZ 85307.